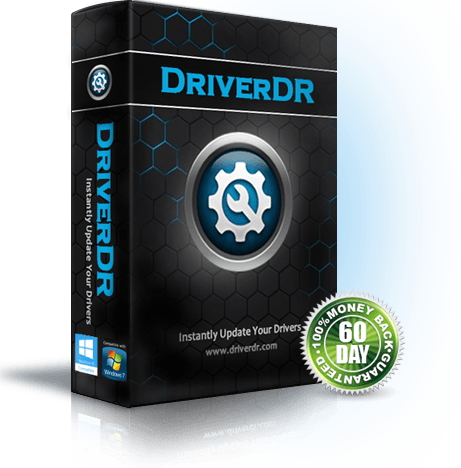 We're sorry to inform you that we’ve discontinued the development of DriverDR. If you're looking for a driver tool, check out our more powerful Driver Easy product. 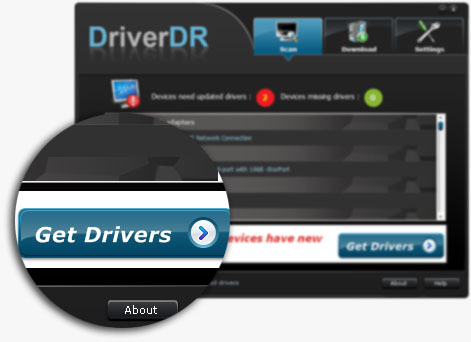 If you have a valid DriverDR license key, you can continue using it on the Driver Easy program. 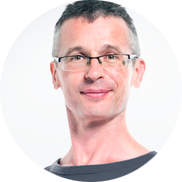 Driver DR makes updating drivers such an easy thing. To update a driver, you just need to click your button 3 times. 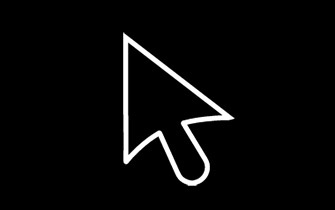 With simple and professional user interface, you can use it without any computer skills. 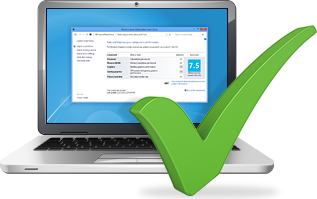 You can also use the software to restore, backup and uninstall your drivers easily. 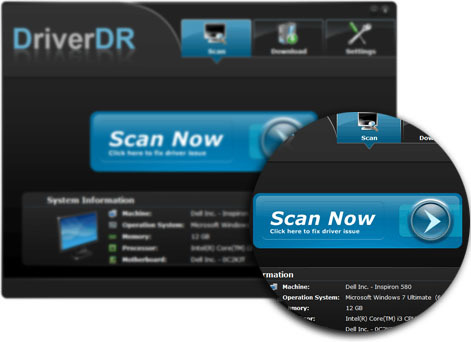 Download and install Driver Dr, then run it and click the "Scan Now" button. You will get a list of the drivers that need to be installed and updated. From the information, you can see how many drivers are dated and missing. And then click "Get Drivers" button to get details for the dated or missing drivers. 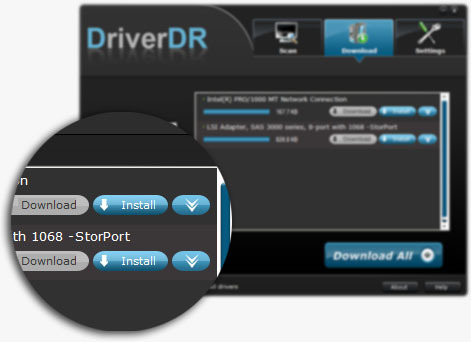 Click "Download" button to download the drivers one by one. 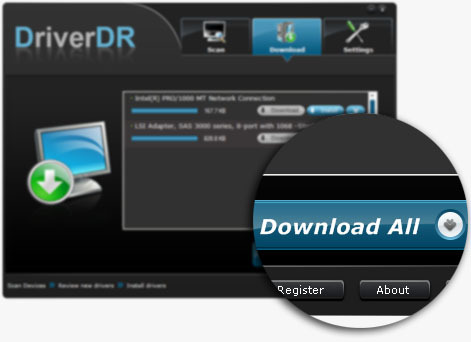 Alternatively, click "Download All" button to download all drivers at a time. Click "Install" button and follow the instructions to install the driver you want to update. 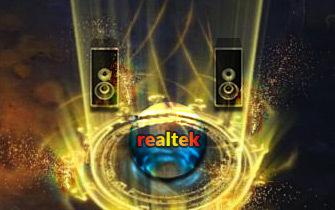 Some people maybe encountered this error: after upgrade laptop to Windows 10, whatever programs you play (online video, songs and games), your Realtek audio sounds like stuttering or distorted. 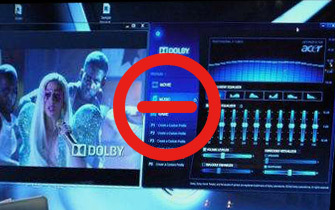 There is a common error message about Dolby advanced audio is "Unable to Start the Dolby Audio Driver" after upgrade Windows 8/8.1 to Windows 10. When you use Windows 10 system or after you upgrade the system to Windows 10, you will meet some issues associated with mouses. 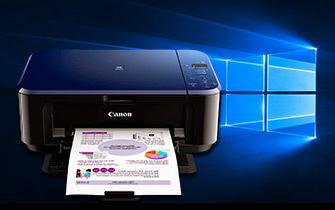 for many other printers, Canon do not release windows 10 version drivers, but you can try to use the Windows 7, 8 or 8.1 drivers to Compatible it in Windows 10 system.